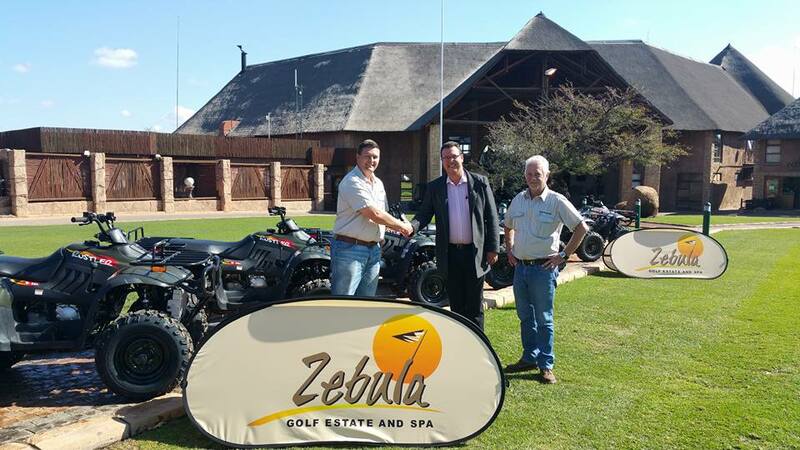 Zebula Golf Estate and Spa, certainly one of the most successful golf estates in South Africa, says that its diverse offering of entertainment is one of the important reasons for its sustained success over the years. 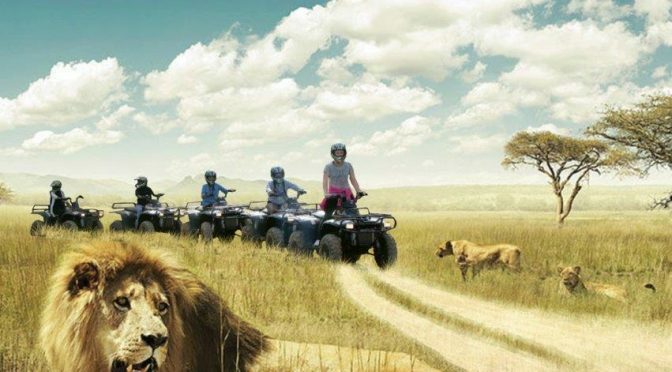 “Bush walks and drives, spa treatments, golf on a world-class layout, interactions with animals, fishing, archery, clay target shooting, tennis and horseback and quad bike safaris are just some of the of the entertainment opportunities available for all members of the family,” says Zebula’s Carla Groenewald. She adds that Zebula’s quad bike safaris have become one of the most popular activities at the resort and for this reason they recently bolstered their fleet with eight new Linhai Rustler 260 XL 2X4 Quad Bikes, which are distributed in South Africa by Smith Power Equipment (SPE). 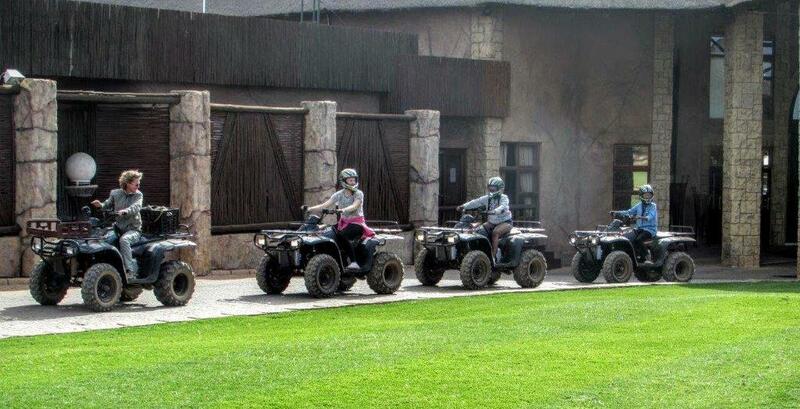 “This quad bike is the perfect entry level quad. 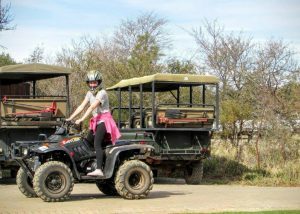 Its light weight and automatic transmission makes it easy to use, great to ride and is perfect for our visitors who aren’t necessarily experienced quad bikers,” says Groenewald. 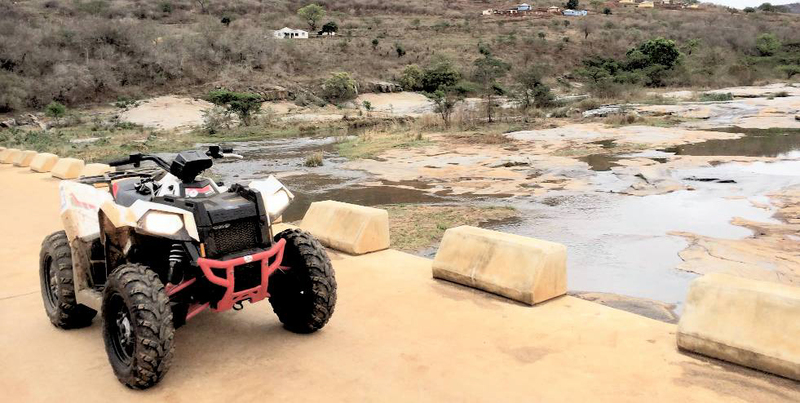 In fact, it is for these very reasons the Linhai Rustler 260 XL 2X4 has become one of South Africa’s most popular quads says SPE’s Mark Chittenden. Located on 1600 hectares of pristine bushveld in the shadow of the Waterberg mountains, Zebula commands a most spectacular setting. Undulating, indigenous tree-covered hills and wide-open grasslands are punctuated with frequent dams and waterholes – a diverse landscape that supports a wide variety of game, birds and small wildlife. “Quad biking is a perfect way to enjoy this magnificent outdoor facility and it is of course very important for Zebula to choose bikes that are not only easy to use but are also efficient, reliable and are supported by excellent service. These Linhai bikes fit the bill in every way,” says Groenewald. Linhai, a manufacturing powerhouse with expertise and experience dating back to 1956, is a leader in the manufacture of affordable, high quality motorsport products. “The quality of Linhai engines has become world renowned,” says Chittenden. The Linhai Rustler 260 XL 2X4 has a 257 cc, 4 stroke, single cylinder SOHC, liquid-cooled engine, electric starter, high/low range transmission with reverse gear and a dry weight of only 280kg. Chittenden says that more and more resort-type operations, which own multiple machines, are realising the benefit of the Linhai brand, which is extremely cost-effective without compromising on quality. “Zebula is a good example. It is a highly professional operation, which doesn’t make capital investments without proper investigation and Linhai is their choice for long term return on investment,” he concludes. This article was featured in the Dirt and Trail – Jan 2017. For more information please contact SPE on 011 284 2000. Linhai to serve in Servest 10 Linhai Rustler quad bikes for Adventure Zone Quads 4 Quads 2014 no ride in the park Giddy Up Linhai ATV! Previous PostKubota U50 excels on Orange River farmNext PostTrouble-free Tractor 5500 hours on the clock!